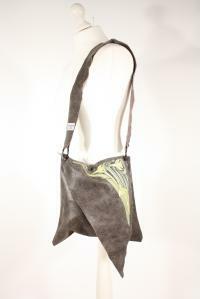 Sweet handbag, unlined, but decorated with a stunning art nouveau-inspired embroidery of a lent lily! beautiful shaped, height ca. 30cm, width, ca. 28 cm.